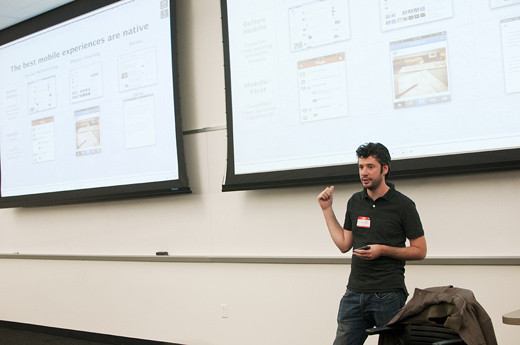 At our final ONACamp of 2014, a range of journalism and business experts convened at the Walter Cronkite School of Journalism and Mass Communication in Phoenix to share tips about the business of digital journalism. 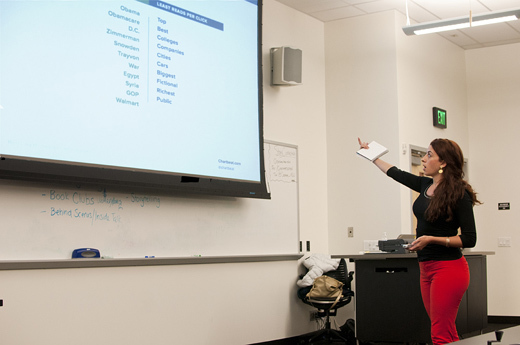 Funded by a generous grant by the Gannett Foundation, this full-day training featured eight sessions that provided tips on how to align journalism and business goals into strategy and news projects. Jake Batsell, Assistant Professor at Southern Methodist University’s Division of Journalism in Dallas, kicked off the day with a keynote conversation on audience engagement and the business of digital news. In preparation for his forthcoming book, Jake visited over 25 newsrooms in the United States and United Kingdom and did over 100 interviews investigating engagement, loyalty and revenue. He found newsrooms are trying to engage readers in five main ways: face-to-face engagement, news as conversation, serving the “passionate vertical,” search, explore and play, and measuring and monetizing the audience relationship. 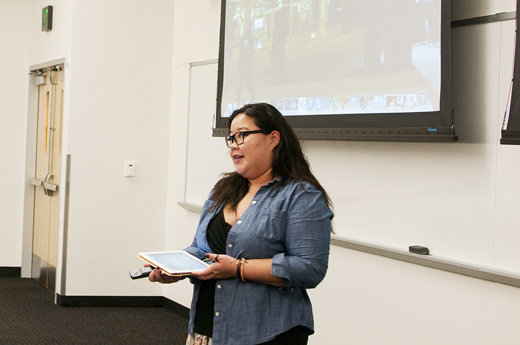 Olivia Allen-Price, Interactive and Engagement Producer, KQED, and Megan Finnerty, Founder of the Arizona Storytellers Project from Arizona Republic, highlighted how live events can help local news organizations connect with their audience. They recommend setting goals for events and letting those guide your planning. Having a narrow focus will help as well, since people want something specific. Sara Catania, Vice President of Digital News, NBC4 Southern California, shared workflows and lessons from project management, providing solid tips on how journalists can learn from and work better with their colleagues developing news products. Stephanie Brower, Co-Head of Editorial Outreach at Chartbeat, focused on metrics worth sharing with advertisers, providing clear insights on how newsrooms should be measuring their successes. Instead of focusing on clicks, she recommends putting attention on reader engagement, audience growth and visitor loyalty. What’s the business value of engagement? 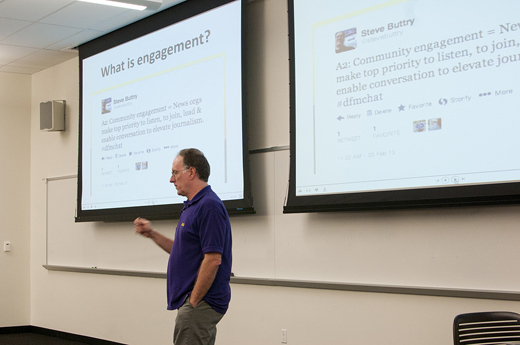 Steve Buttry, Lamar Visiting Scholar at Louisiana State University’s Manship School, shared tips on how to manage your community and help meet business goals. He cites news engagement, contests, and marketing your content as three areas of deep engagement that are essential to digital news organizations. 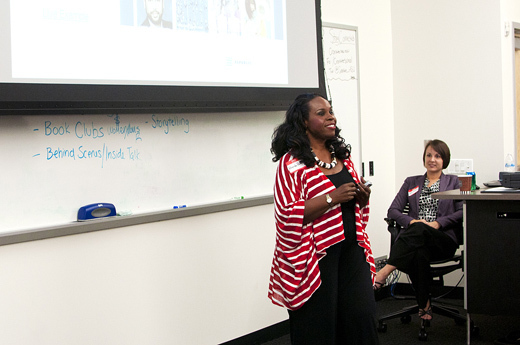 Julia Thompson, Digital Content Director, and Rhonda Pringle, Sales Manager, shared lessons learned from The Arizona Republic’s recent sojourn into sponsored content, focusing on how to balance journalistic standards with making money. Learn how to create structured content that engages readers in this talk from David Cohn, Executive Producer, AJ+. He points out that it works best for breaking news and news that evolves over time, so readers can come back to watch the story unfold. Catherine Green, Deputy Editor at Voice of San Diego, demonstrated how news organizations can move to a membership model successfully, with examples of member benefits, techniques to grow membership and ways to connect with the community. Want to maximize social media engagement to advance your business strategy? Emma Carew Grovum, Homepage and Social Media Editor at Foreign Policy, argues that the first step is to start a conversation between the editorial and the business side, then leverage the strengths of both. For more tips, check out the #ONAcamp tag on Twitter. Interested in having an ONACamp in your city? 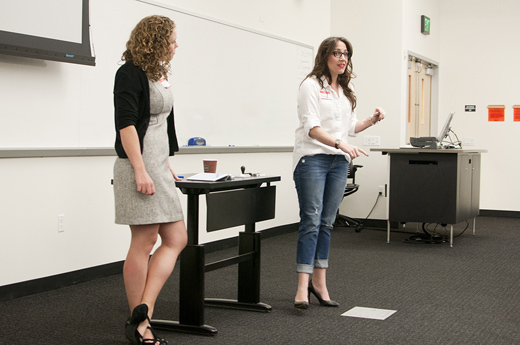 We’re planning trainings for 2015 now, so drop us a note at training@journalists.org and tell us why.